Notepad++ is the best open-source text editor available for Windows Operating System. Windows comes with the Notepad editor by default, but it has many limitations. Notepad is just a basic editor with minimal features whereas Notepad++ can be said as the advanced version of Notepad with tons of features. For programmers, it is practically impossible to install different editors for different programming languages. 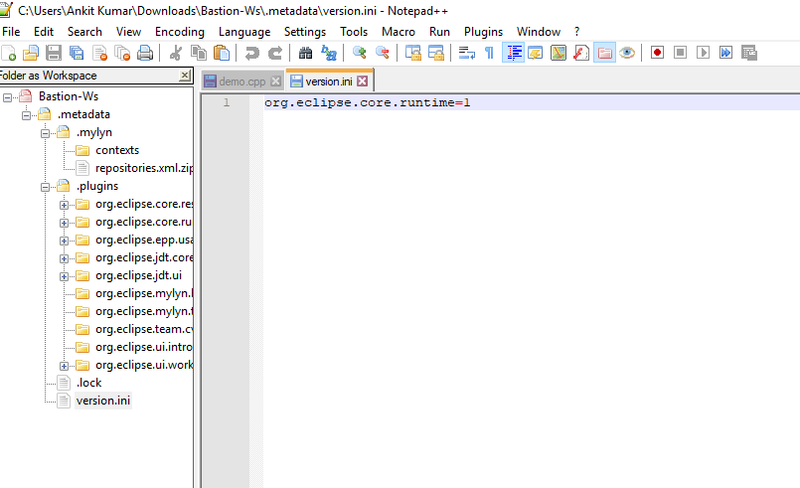 Using Notepad++ as default editor solves this problem as it has support for many programming languages. Here are some of the cool Notepad++ Tips and Tricks for everyone to use this cool editor more effectively. Open all the documents at once and press Ctrl+F to open the Find tab. Type the word you need to find and the word you need to replace it with. Click on Find/Replace in All Opened Documents button the right side of the Window. The result will be displayed at the bottom of your Notepad++ window. If you are one of those who often press buttons by mistake, then this trick is for you. You can change the permission of any file as Read Only so that a particular file becomes edit-proof. You just need to right-click on the Files Tab as shown below and select Read Only option from the list. That’s simple. Isn’t it? While writing codes, we often end up with the improper indentation which makes our code look unprofessional. To make your code readable you just need to press Shift+Tab after highlighting the code. We often use // when we need a put single line comment within our code. But do you know that there is a better way to do this in Notepad++? You can simply Press Ctrl+Q on the line where you want to add the comment and that’s all. That entire line will be marked a single line comment. You can again press the Ctrl+Q to uncomment the line. Macros are really useful while writing large programs. Macros allow you to reuse the code and thus saves your time. After the completion of the Project, you can delete your saved macros in simple steps. Goto Settings-> Shortcut Mapper -> Macros, then select the Macro you wish to delete and click Delete button. Now, this is very useful for web developers who want to test their code on different web Browsers. If you go by the traditional method, you need to open the .html in different web browsers one by one. But not in the case if you are using Notepad++. To launch the code in notepad++, you can simply go to Run -> Launch in Firefox/Safari/Internet Explorer or any other Browser installed on your system. The most popular feature of Visual Studio 2010, Box selection is also available in Notepad++. 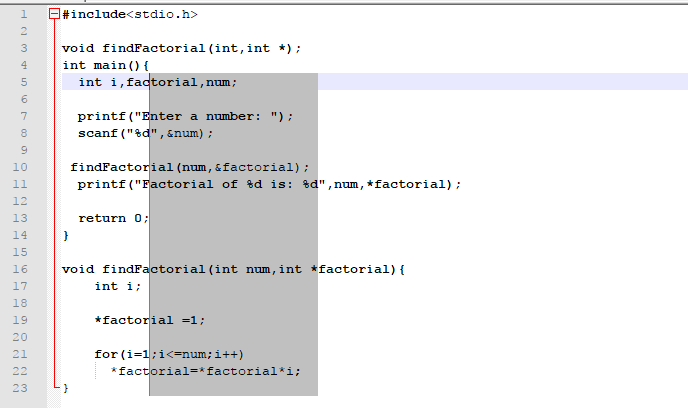 You can select specific parts of the text in notepad++ and edit it according to your choice. Box selection can be in the form of Column selection, Row selection or Rectangular selection. Press the Alt Key + drag the cursor along the selection area. After selecting the Box, you can do different modifications like Cut, Copy, Delete, change the text to Uppercase/Lowercase, mark the Block as Comment, Uncomment it, or Search it on Google. If you are working on a project, then you need to make different modules within the project. All these files are stored in a folder with different folders. If you using Notepad++, then you can view all the files in a Tree View. The Folder as Workspace is the feature by which you can view all the files of the folders in a tree view. To use this feature, Click on File -> Open Folder as Workspace and choose the folder you wish to open in Tree View. 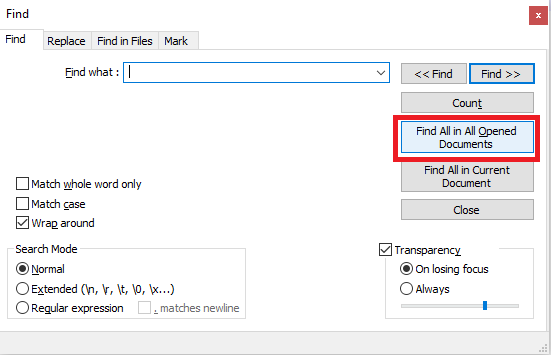 This can be said as the most time-saving feature of Notepad++ Tips. You must have often come across situations when you need to write the same piece of code again and again. With Notepad++, you can record a Macro and perform those tasks automatically without doing it again and again. You can record as many Macros as you want and use it whenever required. To record a Macro, press the Macro Menu and Click on Start Recording. After the completion of the project, you can delete the Macro using the Method 5 stated above. To open all the files of a folder in one-click, simply Press the File Menu -> Open Containing Folder -> Explorer and then select the files you wish to open and hit Enter. Alternatively, you can also select all the files in the File Explorer and hit Enter. Both the methods will do the same task and will open all the files in just one click. Notepad++ is certainly one of the most useful and most popular Editors for Microsoft Windows Operating System. If you are still using the traditional Notepad by Microsoft, then we suggest you switch to Notepad++ and try its interesting features. It comes with almost all the features that any premium Editor has and the best part it is available for Free. We have listed some of the most useful Notepad++ Tips and Tricks but there is a lot more to explore. If you think, we missed something on the list, then comment down below. We would love to hear back from you.